Range-Mag 21 IGR is carefully formulated to complement summer pastures or medium quality forages. This unique supplement is second to none when compared to other low-moisture blocks. This block is the product of a state-of-the-art patented process that provides a unique 24-hour feeding system. Range-Mag 21 IGR is an exceptionally dense all-weather block that will give you the most for your money. Mineral Fortification: This supplement is mineral fortified, resulting in typical supplemental feed cost savings of 5¢ to 8¢ per head per day. 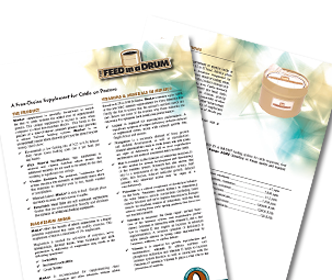 Minimal Labor: The Feed In A Drum supplements are easy to feed. Simply place the blocks in areas of easy access to the cattle. Provide free choice as a supplement to pasture cattle at the rate of one block for each 15 to 25 head. 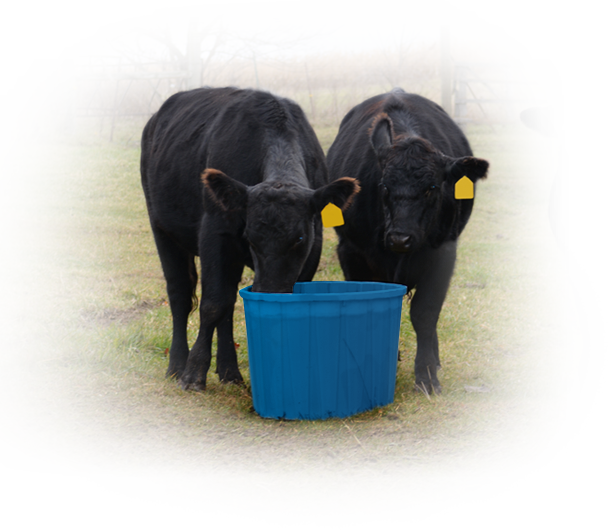 Place blocks in pastures near areas frequented by cattle, such as watering locations, shade or loafing areas. Cattle normally consume approximately 0.75 pound per head daily. Consumption may vary depending on climate, grazing conditions, condition of cattle and/or availability of other feeds. In situations where climate and/or other factors result in consumption less than 0.75 pound per head daily, intake of supplement can be increased by providing additional blocks per pasture. 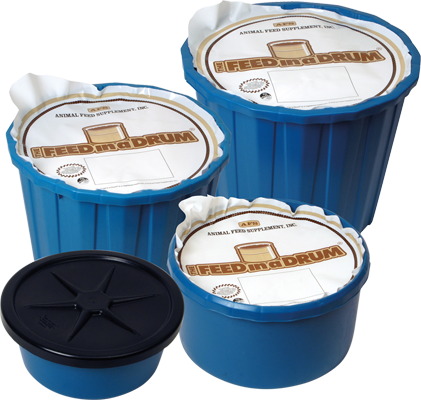 If cattle experience excessive stress due to adverse weather conditions, shipping, weaning, or periods of high production, switching to The Feed in a Drum FirstLic® or The Feed in a Drum Stress 22® Supplement is recommended. * This includes not more than 10% equivalent crude protein as non-protein nitrogen.